Meet the new standard by which all short telephoto lenses will be measured against, the world's first full-frame 105mm with an f/1.4 aperture. It's fast maximum aperture make this an ideal optic for available light recommended for portraiture or indoor sports. An excellent performer for available light, the AF-S NIKKOR 105mm f/1.4E ED also excels when using Nikon Speedlights indoors or out. Create beautiful portraits with minimal depth of field as well as using Advanced Wireless Lighting with Auto FP High Speed Sync. This is the culmination of Nikon's expertise in lens design, optical excellence and industry leading innovation. Its new optical design creates ultra-high definition across the entire frame, especially when used with one of Nikon's full-frame (FX) high-resolution DSLRs. Chromatic aberration, ghosting and flare is minimized by three Extra-Low Dispersion (ED) elements. Nano Crystal Coat (N) outperforms conventional antireflection coatings over a broad wavelength range for maximum contrast. 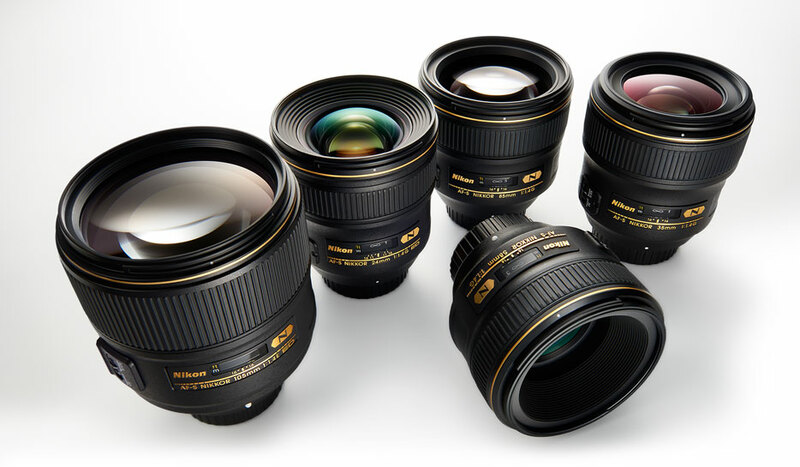 The new AF-S Nikkor 105mm f/1.4E ED joins other NIKKOR f/1.4 lenses in the Gold Ring Series, which include only premium primes with Nano Crystal Coat and pro-grade build quality.